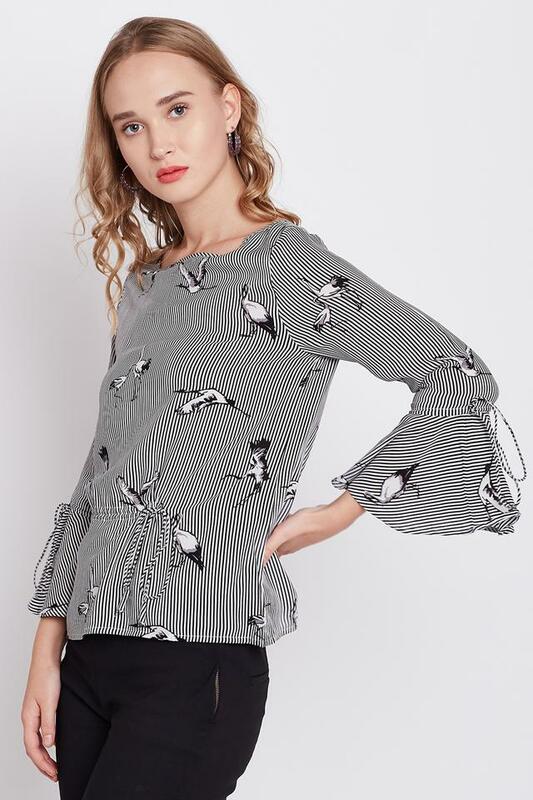 Add a feminine print to your occasion wardrobe with this top from Marie Claire. 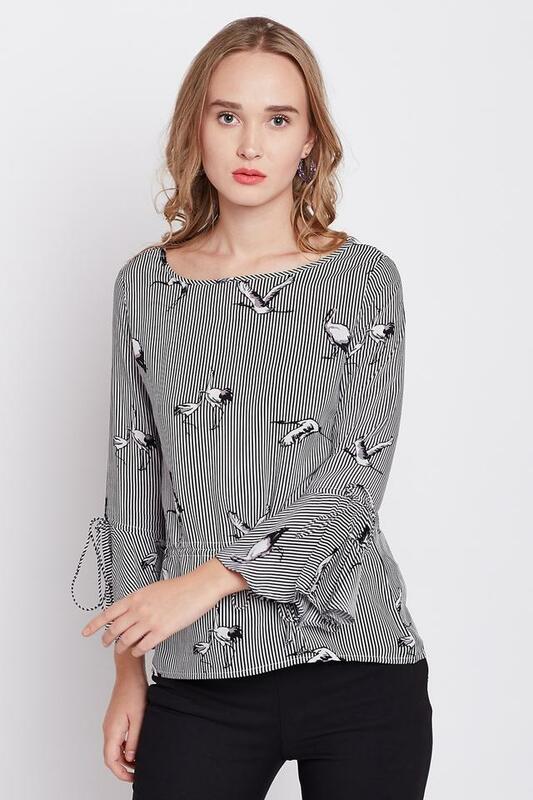 Made of cotton fabric, this top is also extremely soft against the skin. Featuring a round neck, 3/4th sleeves and striped pattern, this top possesses a stylish fascination. Add a touch of bohemian chic to your collection with this top. Wear this top with a pair of denim shorts and ballerinas for a trendy appeal.